With 2019 in full swing, we felt like it would be a great time to reflect on some highlights from 2018. GreenMellen had a busy year with new and old clients! We launched new websites, and our support team helped our current clients keep their sites up and running. In 2018, we managed 138 websites, which included updates on a total of 763 plugins! Our team resolved approximately 2,244 support requests from our clients throughout the year, with an average initial response time of under 60 minutes. Some of my personal favorite new projects from 2018 include Kidz2Leaders, ProGreen Artificial Turf, and The Worship Collective. 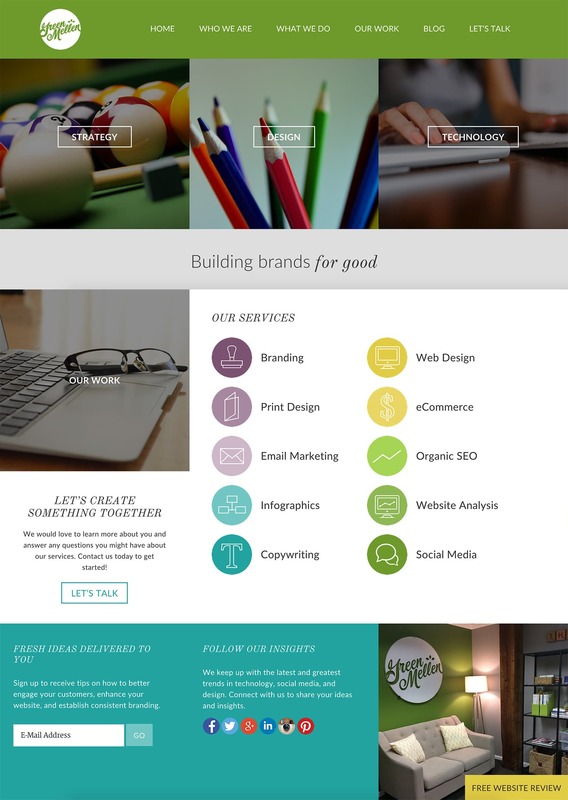 In 2018, GreenMellen won 3 web design awards. In August, Aimee Copeland Foundation’s website won a Gold dotCOMM Award in the non-profit category, and Copper Alliance’s website won a Platinum dotCOMM Award in the corporation category. A little later in 2018, the Cumberland Group won a Gold MarCom Award in the website design Business to Business category. If you’ve been around long, you know we are major supporters of the Inbox Zero life. We work hard to be proactive and responsive for our clients. It’s in our beliefs, after all. And this year, we tackled a total of 124,003 emails as a team. 2018 was a busy year for blogging as well. We posted 62 new blogs on the GreenMellen site. If you are looking for a great resource on all things Digital Marketing, you should give our blog a follow! In 2017, we introduced our podcast A Brighter Web. Last year, in 2018, we revamped the format for A Brighter Web’s podcast. We created a place where we interview marketing leaders and business owners to get their insights and ideas. We also introduced a new podcast, DigitalCast. DigitalCast is a 90-second podcast that is the digital marketer’s secret weapon, sharing new information from Google, WordPress, and various social media platforms. If you want to keep up with the world of digital marketing without spending much time, this podcast is for you. Education is another founding belief here at GreenMellen. We love to share our knowledge, and to be successful in our industry, we are continually learning as a team. In 2018, we attended Meetups, Creative Mornings, and conferences a total of 29 times. Of course, WordCamp Atlanta is one that is near and dear to our hearts. Be sure to stay in the loop for the 2019 WordCamp Atlanta – we’ll be there! Even though we’re a small team, it’s easy to get caught up in our projects and our daily tasks. Last year, we implemented a weekly project review meeting that walks through each project, what phase of our process it currently, is and what deliverables are due. This has been a great benefit to keeping everyone in the loop and knowledgeable about our clients. 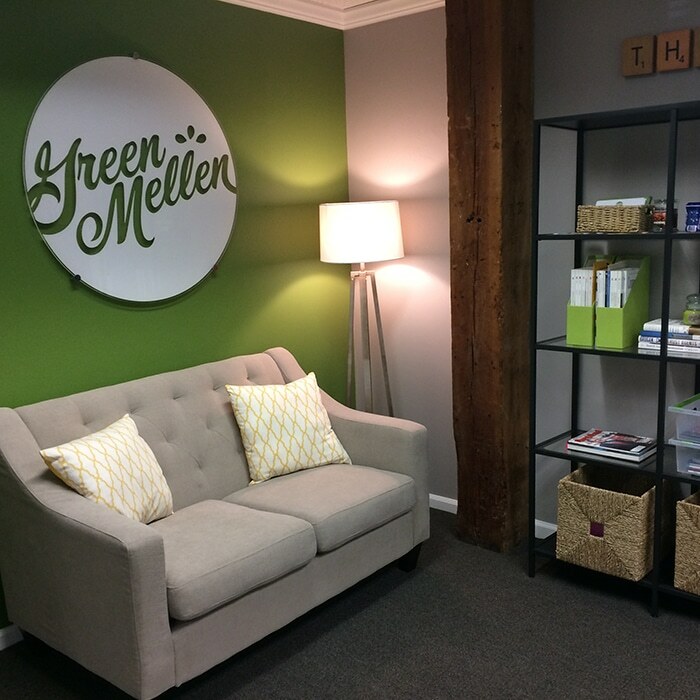 Last year, the GreenMellen website had 19,342 visitors and 35,795 pageviews. In July of 2018, Google released their Chrome 68 update and pushed website owners to finally get on the bandwagon with the HTTPS/SSL encryption. You can read more about this from our blog post earlier in the year. Due to these changes, we helped our clients get up-to-date and added SSL to 117 websites in 2018. Working on the Marietta Square, we have an abundance of great choices for lunch. We tend to gravitate to Taqueria Tsunami quite often. In 2018, we consumed approximately 432 tacos as a team. If you’ve been there, you know their tots + queso is a great side option too — but we lost count on the number of those we’ve had! We love working together, but at the end of the day, one of our favorite past times is picking on each other – all in good fun, of course! And who gets picked on the most – that would be Mickey. If you’ve ever met Mickey, there is a 172% chance he’s wearing a blue plaid button-up shirt. We love to pick on him for his consistent choice of wardrobe, and he gave us that opportunity 208 days last year. In 2018, we celebrated our 9th birthday! We have big plans for 2019, so watch out for GreenMellen’s 10th birthday coming this year!